This roomy property is perfect for a family getaway! 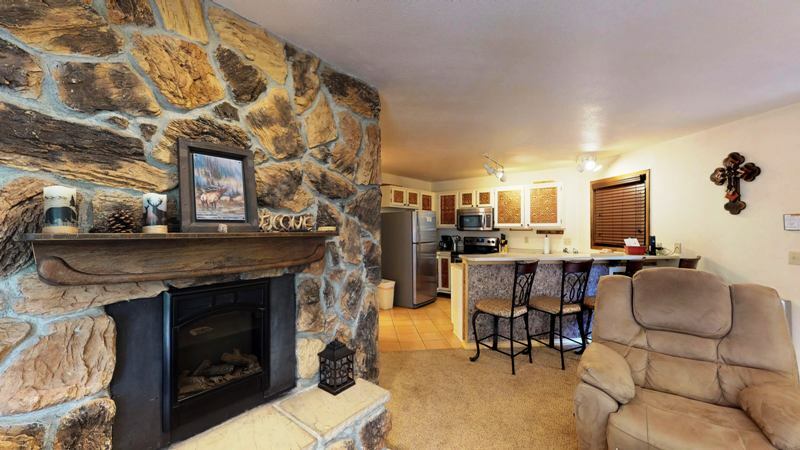 The home features a flat-screen satellite TV, internet and a cozy fireplace. 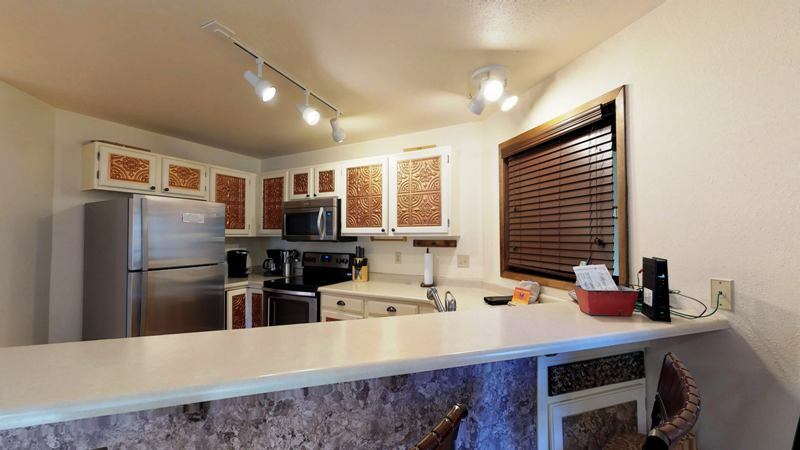 The kitchen is fully equipped for all your cooking needs and has a breakfast bar. The master bedroom has a queen-sized bed and an attached full bath. The second bedroom also has a queen-sized bed. There is also a pull-out sleeper sofa for additional room. All these features plus a convenient location! Just blocks from Angel Fire Resort Ski/Mountain Bike Park, restaurants, and shopping. A jetted tub in the master allows you to soak after a great day of skiing, hiking or golfing!